Marie Hélène Allain was born in 1939 in Sainte-Marie-de-Kent, New Brunswick, Canada. She was about ten years old when she began taking art lessons from Jeanne Léger, a painter living in her village. After high school, she entered the novitiate of the Sisters of Notre-Dame du Sacré-Coeur, in Moncton where she took her first vows in 1958 and her eternal vows in 1961. Her religious community encouraged her to develop her skills in the field of plastic art. From 1958 to 1959, she studied at the Normal School in Fredericton and was granted a teacher’s certificate by the New Brunswick Department of Education. Wishing to pursue an education in visual arts, she completed her Bachelor of Arts degree at Université de Moncton (1966), while still employed as a classroom teacher. Every summer she took non-credit courses in plastic arts at Queen’s University in Kingston, Ontario. 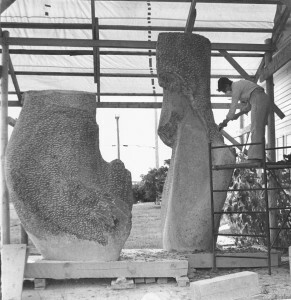 In 1967, she entered the École des beaux-arts de Montréal, where she discovered sculpture. It was to become her passion. 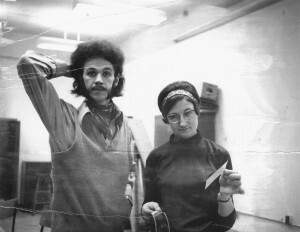 The Université du Québec à Montréal granted her a Bachelor’s degree in plastic arts with a major in sculpture in 1971. In 1978, Marie Hélène Allain trained and studied in Europe for eight months: a six-month traineeship in sculpture in Pietrasanta (Italy) and a two-month tour of the European art capitals. A five-month internship in Montreal in 1987 was dedicated to various artistic pursuits, and in 1990, she spent a year in France practicing sculpture. She was twice (1990 and 1992) a participant in the International Sculpture Conference. After earning her second undergraduate degree, she divided her time between teaching and creation. For three years, she taught artistic expression part time in the public schools of Kent County. She then taught the didactics of artistic expression at the Faculty of Education, Université de Moncton, and sculpture in its Department of Continuing Education, until 1979. Since then she has devoted all her time to sculpture except for a few years teaching sculpture, at the Université du Québec à Montréal (1987) and in the Visual Arts Department at the Université de Moncton (1988-1989). While she had been showing her work since 1972, it was 1976 before she had her first major exhibition, at the Galerie d’art de l’Université de Moncton. Throughout her career, her work has been shown in some 50 exhibitions, of which over 20 were solo events, and several travelling exhibits in Canada, France, Italy and the United States. Her major exhibitions include the New Brunswick Olympic Exhibition (1976) at Place Bonaventure in Montreal; Scultori e Artigiani in un Centro Storico, in Pietrasanta, Italy (1978), and her exhibition at the Musée de Châtellerault, in France (1991). 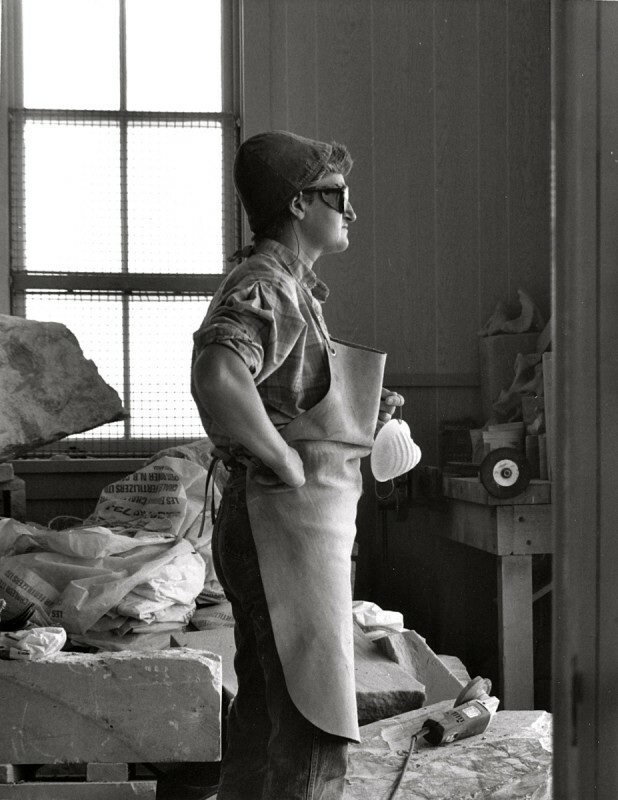 Her sculptures are found in several public and private collections. She has created a number of monumental works, commissioned notably by the Saint John Market Square, NB (1983), the Beaverbrook Art Gallery in Fredericton (1985), and the Oncology Centre at the Dr. Georges L. Dumont Hospital in Moncton (1994). From 1993 to 1997, she created La Vague, the sculpture given as the Viewers’ Choice Award at the Festival international du cinéma francophone en Acadie. Her main objectives are to kindle life in inert matter and to study the symbolism of stone in its creative conjunction with several other materials. She goes so far as to assert that sculpture is her calling. 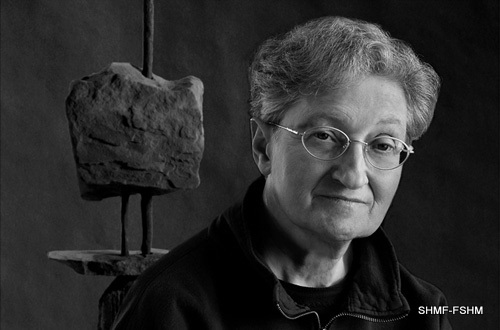 Marie Hélène Allain was awarded grants by the Canada Council for the Arts, and repeatedly so by the Province of New Brunswick. In 1996, she was the recipient of the Strathbutler Prize for Excellence in the visual arts in New Brunswick. In 2001, she won the Éloize award in the category Artist of the year in Visual Arts in Acadie for her work Une pierre pour toi. She was one of three principal organizers of the Exhibition and Retrospective of Visual Arts in Acadie for the Second Congrès Mondial Acadien (Acadian World Congress) held in 1999 in south-eastern New Brunswick. The largest exhibition of visual arts to be held in Acadie at the time – more than 230 works – it provided an historical overview of painting, sculpture, printmaking, photography and ceramics in Acadie, and included some 120 artists. Marie Hélène Allain was notably the winner of the Gold Medal in sculpture at the 3rd Francophone Games held in Madagascar in 1997, for her sculpture Danser sa liberté (Dance of freedom). In 1994, she was the subject of Carole Gagnon’s book Marie Hélène Allain, la symbolique de la pierre (Éditions d’Acadie, Moncton) and in 2009 Rodolphe Caron directed a documentary titled Marie Hélène Allain Speaking with Stone (Productions Appalaches and National Film Board). The Sheila Hugh Mackay Foundation has the mission to promote and support the creation, the valorization, and the understanding of visual arts. The Foundation recently launched the Marie Hélène Allain Fellowship that supports creative exploration and innovation.